De Winter’s T Waves were first described by De Winter in an article to the editor of the New England Journal of Medicine in 2008(1). 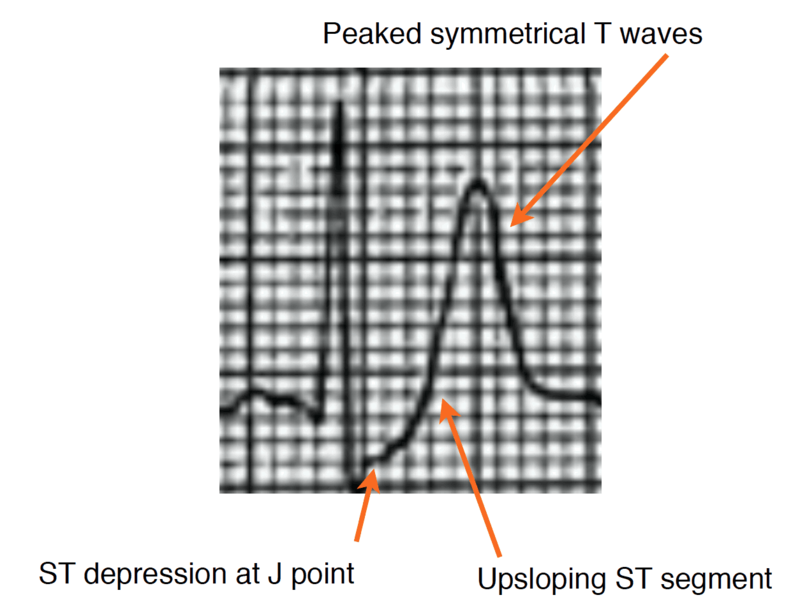 They are considered an ST-elevation myocardial infarction(STEMI) equivalent and knowledge of this sign is important as ST depression is not the classic appearance of an STEMI. Using ECG’s from a large database the authors described a new ECG pattern without ST elevation, that indicated proximal left anterior descending(LAD) coronary artery occlusion. This pattern was recognised in 2% of patients (30/1532) with anterior myocardial infarction. It was described as a static pattern, rather than evolving with changes to the ST segments. Since then other studies have in fact shown evolution to the classic STEMI pattern does occur. This is considered to be an anterior STEMI Equivalent. In 2009 Verovden el al (2) duplicated these findings in patients with anterior wall myocardial infarction. The distinct ECG pattern was identified in approximately 2% of patients with LAD stenosis, in that study also. These patients were more likely to be younger and male and tended to have hypercholesterolaemia.